Prices for the Gran Coupe will start from 79,500 euros in Germany, around 5,000 euros more than the two-door coupe model. BMW will enter the fast-growing segment for coupe-styled four-door sedans that its luxury competitors have created by adding a four-door model to its 6-series family. The Gran Coupe, based on the redesigned 6-series two-door coupe and convertible, will debut next month at the Geneva auto show and begin global sales in June. 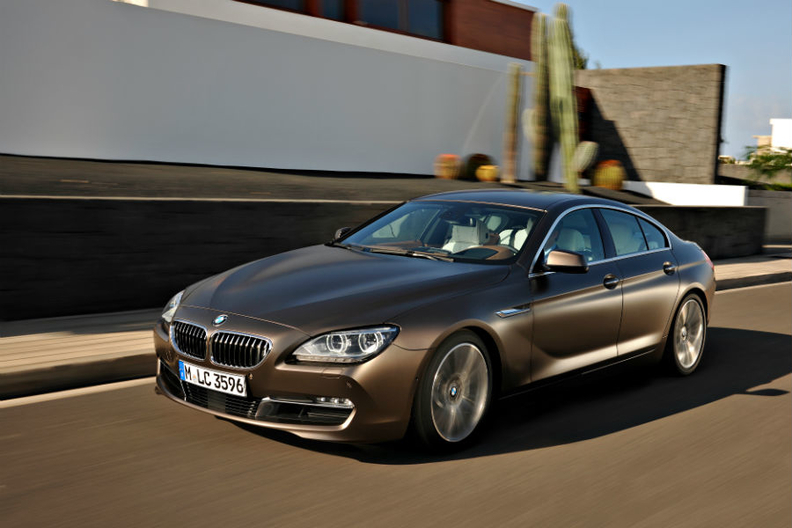 In Germany, prices will start at 79,500 euros, around 5,000 euros more than the corresponding two-door coupe model. The Gran Coupe has coupe styling similar to the Mercedes-Benz CLS, Porsche Panamera and Audi A7 and Aston Martin Rapide. Initially, the Gran Coupe will be offered as the 640i, with a 3.0-liter, six-cylinder twin-turbo gasoline engine that generates 315 hp and as the 640D, with a diesel unit generating 309 hp. This will be followed in the third quarter by the 650i and 650i xDrive that both use a 4.4-liter, twin-turbo V-8 gasoline engine generating 445 hp. The Gran Coupe is 197 inches long, 113mm (4.4 inches) longer than the two-door 6-series models and offers a 4+1 seating arrangement with fold-down rear seats that increase cargo space to 1,265 liters from 460 liters. BMW will build the Gran Coupe alongside the two-door coupe and 5- and 7-series models in its factory in Dingolfing, Germany.